We have wide range of Decorative and spiritual glassware, manufactured from Crystal clear Borosilicate Glass. We offers best and a one quality in our product . We promise to offer our customers the best of the product at moderate price, swift and timely delivery of products and high quality, we do all the process under one roof. 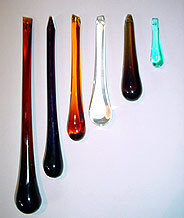 Our company is the foremost in offering Decorative Glass Set. Price Range: Rs 150 to 7000 Set. 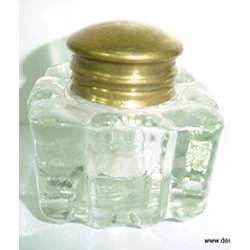 Our customer can avail us an wide range of Glass Handicrafts. These are available with us in a gamut of designs, shapes and sizes, to cater to the varied needs. These can be placed on your working place or dwelling place to enhance the beauty of working or living area. Our collection has a large number of sizes and designs. These Holly faith Hanging is provided by use at very reasonable price. utensils, home decor items, bar accessories and other products. Ferozbad has become synonymous with the name of glassware. Earlier only glass bangles where produced but with the help of sophisticated machines the full-fledged glassware is produced. The entire populace is involved in this industry. Varanasi specializes in making the glass beads and exports the most of the production.